Buy too many bags, bags but no place to store? 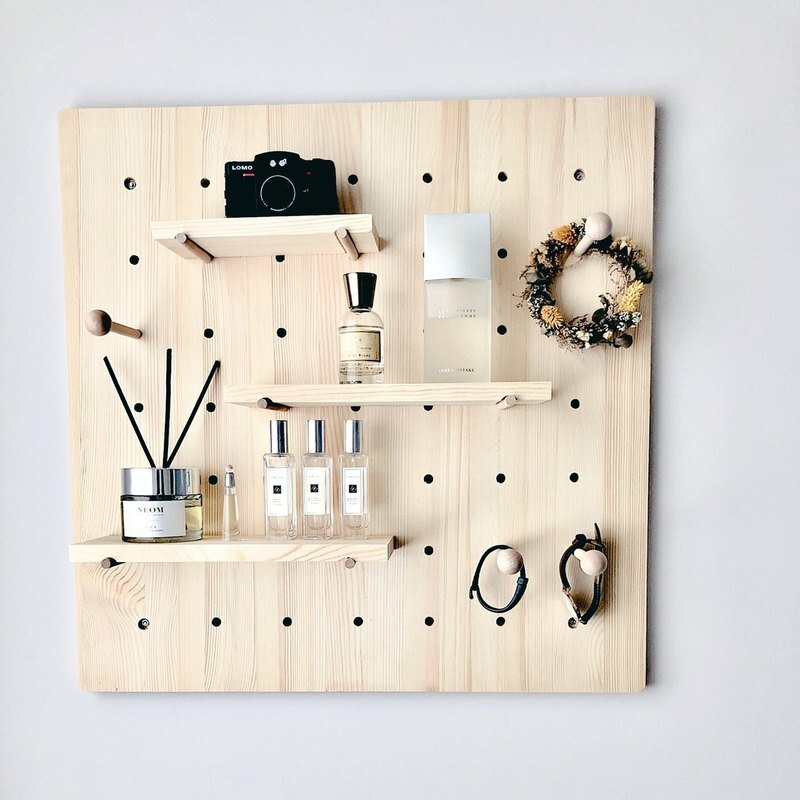 Zakka handmade pine wall racks make it easy to create Kinfolk corners in the room Simple appearance, high-quality solid wood material, and a variety of combinations, Suitable for a variety of different home styles. From models, planting, to commemorative objects that can’t be lost, you can find your home on it. Come and turn the debris in the corner into a living landscape that belongs to you only! Section A Product size: 60*40cm Commodity accessories: 20cm laminate*2/30cm laminate*1 / laminate wooden stick*6 / round wooden stick*4 Mounting accessories: screw stickers (no need to punch) / expansion screws / installation instructions Section B Product size: 60*60cm Commodity accessories: 20cm laminate*2/30cm laminate*1 / laminate wooden stick*6 / round wooden stick*4 Mounting accessories: screw stickers (no need to punch) / expansion screws / installation instructions Section C Product size: 60*90cm Commodity accessories: 20cm laminate*3/30cm laminate*2 / laminate wooden stick*10 / round wooden stick*4 Mounting accessories: screw stickers (no need to punch) / expansion screws / installation instructions *The product is handmade, and the error of 1-2mm is normal.